The New Zealand Specialty Coffee Association (NZSCA) holds the license to run the national leg of the World Coffee in Good Spirits Championship. 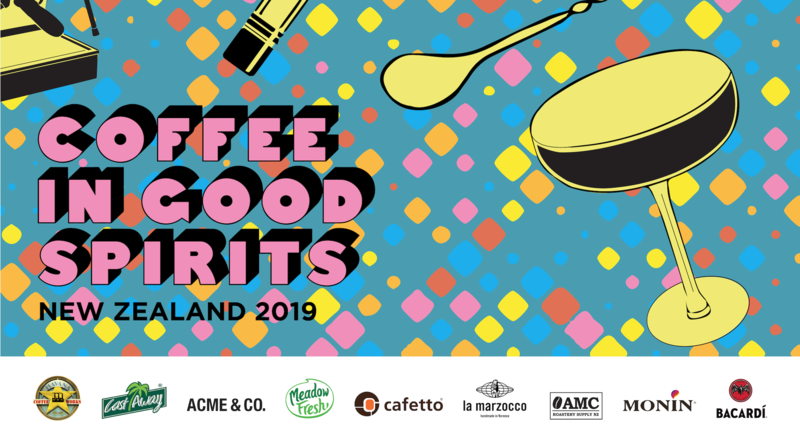 We are excited to bring the Coffee in Good Spirits Championship to NZ! Limited places are available to compete. The World Coffee in Good Spirits Championship promotes innovative beverage recipes that showcase coffee and spirits in a competition format. This competition highlights the barista/barkeeper’s mixology skills in a setting where coffee and alcohol go perfectly together. From the traditional Irish Coffee (with whiskey and coffee) to unique cocktail combinations.